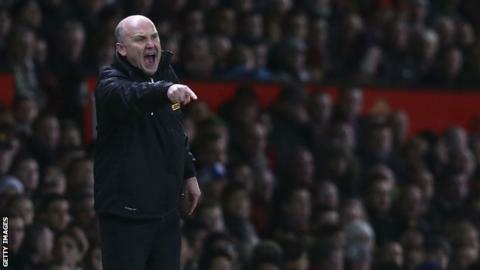 Mike Phelan will be confirmed as Hull's assistant manager after Saturday's Premier League game against Newcastle, BBC Humberside understands. The former Manchester United and Norwich head coach is unable to take up the post before 1 February because of the terms of his departure from City. City have had a £3m bid accepted for Lokomotiv Moscow striker Dame N'Doye. The 29-year-old has been with Senegal at the Africa Cup of Nations and personal terms are still to be agreed. Bruce said: "With the problems we've had up front, something that gives us a bit more firepower will be ideal." He also confirmed that City are in discussions with another Premier League club over bringing in a loan signing. Meanwhile, former Hull striker Dean Windass has been appointed the club's first official ambassador.